BOB DYLAN’S BEEN a perennial contender for the Nobel Prize for Literature for many years, but I don’t think any of us really thought he’d ever win. Now that he has, the question remains, what’s left? He’s already won all the other awards – medals of honor and freedom from the American and French governments, Grammys, Oscars (he loves his Oscar so much he brings it with him on tour and places it onstage each night that he performs), a Pulitzer. Really, now that he’s won the Nobel, there’s nothing left for him to win. Of course, Dylan isn’t in the award-winning business, which makes it all the more so surreal that he’s won everything. He started out as the anti-everything candidate, with an agenda to overturn the tables and disconnect the cables. And he succeeded in doing so, along the way alienating probably more people than he won over to his side. He didn’t even win his first Grammy Award until 1979, nineteen albums into his career (and that one, ironically, was for his vocals of all things – not his songwriting). Ah, but those on his side included a huge swath of outsiders – writers, artists, poets, filmmakers, and, of course, musicians. His unique achievement – nearly impossible to replicate – was to blow up the songwriting form and recombine the pieces, scattering in elements of the Jewish prophets, Shakespeare, the great English poets, the Beats, the New York Times, movie dialogue, history books, old folk and blues icons, combine it with a twist and shout all his own, and presto, he came up with the most brilliant literature of the second half of the 20th century (and running over into the 21st). And ever since then, everyone has been trying to figure out, how did he do that? What did he do? What happened? And why do I love it so much that I’ll buy 16 CDs just to hear all the versions of the recordings that weren’t good enough to make it onto the finished albums? Yes, it’s literature, and I’m not going to argue that point beyond saying that anyone who spends time “reading” Dylan closely understands that. Or maybe it’s not. Maybe it’s some other thing. Something utterly sui generis, perhaps. So what? It combines thought and expression, using words and meter and line and melody and rhythm and call-and-response as tools of communication to say the most important things that anyone’s said about what it means to be living in our world, in our time. Is the Bible literature? Not really. Is it the greatest – certainly the most influential – book ever written? Absolutely. Does Dylan’s work find its proper place in that tradition, where it can best be heard, read, studied, picked apart, and understood? Positively. I don’t know about you, but I think that’s worth a Nobel Prize. 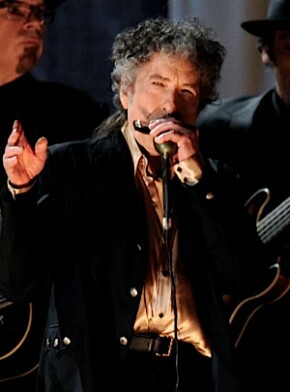 Seth Rogovoy is the author of “Bob Dylan: Prophet Mystic Poet” (Scribner, 2009).